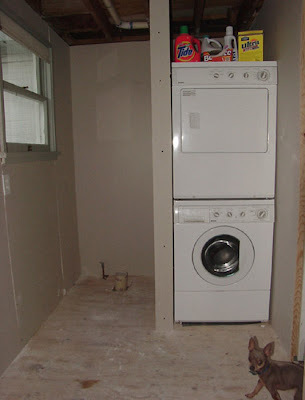 Our master bath contains the washer and dryer. 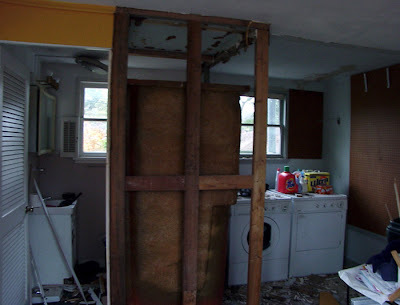 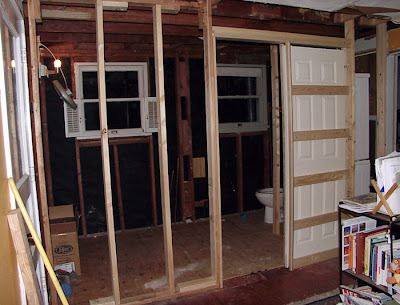 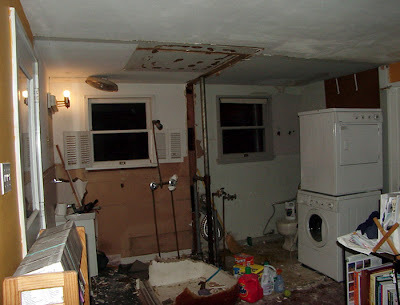 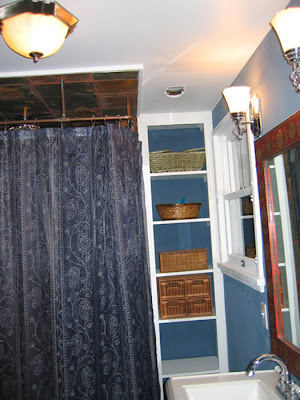 It looks like it used to be two separate rooms - a small bath and a small laundry closet. 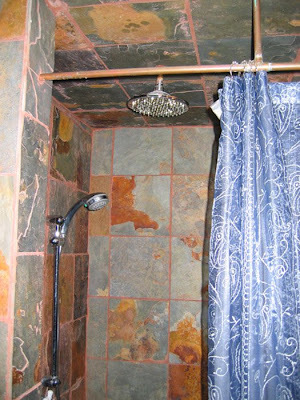 It also looks like there used to be pink tile in this bathroom.